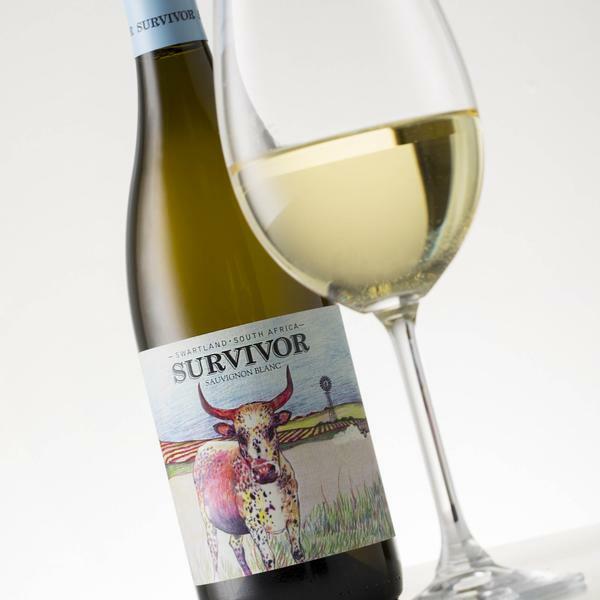 From the heart of South Africa’s sought-after Swartland – one of the most dynamic wine regions in the Southern Hemisphere – comes a wine range reflecting its distinctive roots: SURVIVOR. Vibrant wines with an exciting story to tell. One fine day, as a truck laden with cattle rattled past our Cabernet Sauvignon vineyard, one of the passengers decided: The Cow Stops Here. She jumped out of the truck. Not only did she survive, but she has thrived, and even produced several offspring. Because she embodies the free spirit of the Swartland, these wines pay tribute to our noble Nguni cow, SURVIVOR.